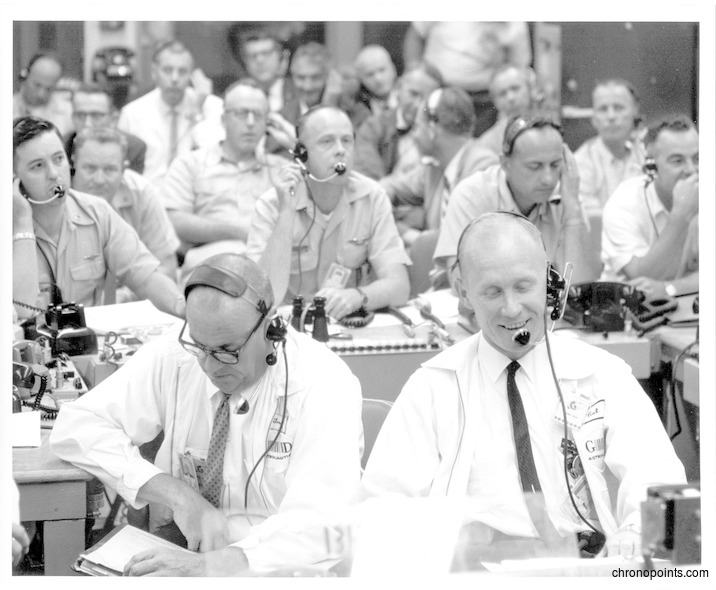 Dr. Calvin D. Fowler, T. J. O'Malley (1915-2009) and others observing Mercury-Atlas 9 (MA-9)'s spacecraft, Faith 7, for Project Mercury. Faith 7 was piloted by Gordon Cooper (1927-2004), on May 15, 1963. 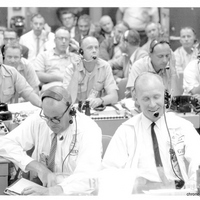 After the launch, the team assembled in the blockhouse to observe the mission on monitors. 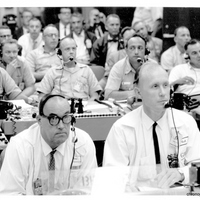 Dr. Fowler, who had just launched Cooper into orbit, is seated along with O'Malley, who had previously launchedJohn Glenn (b. 1921)'s rocket, Friendship 7. “Dr. 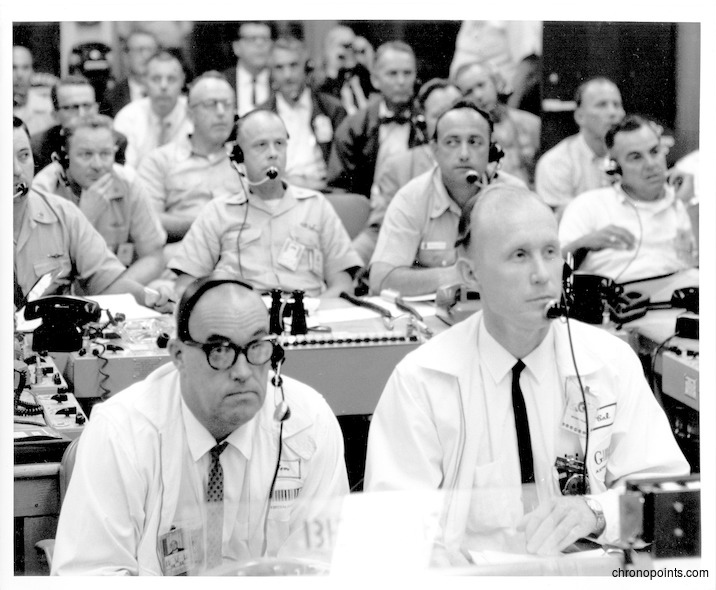 Calvin D. Fowler and T. J.O'Malley Observing Project Mercury.” RICHES of Central Florida accessed April 21, 2019, https://richesmi.cah.ucf.edu/omeka/items/show/4973.